This is an era of transforming the healthcare industry the digital way. This is an era where Providers and Developers are looking at developing technologies that try to minimize the costs & improve the overall efficiency in delivering patient care. 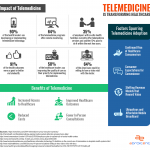 Telehealth is one such technology that can aid in better patient engagement and improved and enhanced care. However, does it substitute for the care that can be provided in the Hospital? Many believe that there could be a possibility of vital symptoms and signs of the patient going unnoticed due to the mediums used for communication with the patient. A recent study proves otherwise. Researchers at Vanderbilt University and the Department of Veterans Affairs Medical Center in Nashville evaluated data collected between May 2014 and June 2014 from 23 veterans. These veterans were seen three times after an operation. One visit was conducted via video, the second over the telephone and the third visit was in-person. 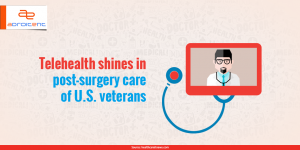 69% of the veterans had also given their preference for Telehealth rather than a Hospital visit owing to the long distances between the patients home and hospitals. If Telehealth is used accurately and in the interest of the patient it could be of great help to both the providers and patients.